Globe Telecom and the Cauayan City government have hammered out a strategic partnership to deliver 1st world internet services as well as create a digital cashless ecosystem, which will be undertaken through GCash. The partnership involves deployment of an integrated network plan to improve mobile coverage and provide high-speed internet service in the city. The rollout forms part of Globe Telecom’s One Digital City initiative, intended to expand network coverage and enhance capacities, particularly for fixed-line, in a bid to elevate the state of the country’s internet. “Accelerating ICT development enhances inclusive economic development as it significantly improves delivery of public services, enables enterprises to access valuable information and spur transformation in growth areas. We are grateful for the support that the Cauayan city government extended to Globe and we hope to replicate this partnership in other areas in the country,” Globe President & CEO Ernest Cu said. As part of using technology for governance, GCash, the mobile money platform of Globe, and Cauayan City have embarked on a pioneer initiative to implement the co-branded Citizen ID cards initially for 5,000 government employees and constituents to provide easy access to social and financial services that will bolster the economy forward. Eventually, the IDs will be rolled-out to all 130,000 constituents of the city. The Citizen ID may be used to electronically pay government fees and taxes, utilities and other bills electronically and purchases from local merchants; for disbursement of salaries, stipends, allowances and other benefits to citizens, government employees and volunteers; and in the provision of easy, fast and flexible Fuse loans for sustainable livelihood development programs for micro and small and medium enterprises. Enabling e-payments will help increase access to social and financial services for citizens, reduce opportunity cost lost in cash handling, and tighten security of funds and transparency in government transactions. 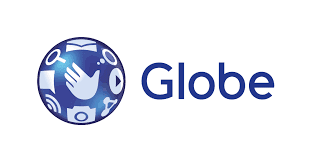 Globe has been aggressively ramping up network investments as it gained access to new spectrum resources following partial acquisition of San Miguel’s telecommunication assets such as the 700 megahertz (MHz). Specifically, the company committed to deploy 4,500 sites in about 95% of cities and municipalities in the country within a 3-year period. The company’s collaboration with the Cauayan city government is also in line with its initiative, which started early this year, of creating an internet superhighway by deploying high-speed broadband technology. 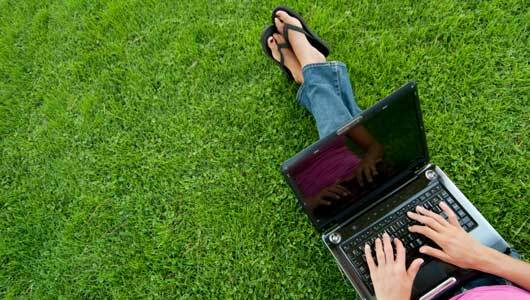 Specifically, the company plans to deploy high-speed broadband technology in 2 million homes nationwide by 2020. Globe has also been pouring significant investment for its corporate data network with additional investment of $50 million. The company started rolling out a capacity expansion program for its corporate data network to address bandwidth requirement of its enterprise clients as they make use of various data solutions to improve business efficiency, enhance productivity, and boost competitiveness. With the partnership, the initiative to enhance Globe Telecom’s corporate data network is also expected to benefit enterprises based in Cauayan as well as help promote social inclusion through technology. As a strong advocate of environmental sustainability, leading telecommunications company Globe Telecom encourages its millions of postpaid customers to help save thousands of trees and reduce greenhouse gas emission by enrolling their fixed and mobile accounts in the paperless billing program. Moreover, the program not only allows Globe postpaid customers to do their share in environmental protection and conservation but also provides convenience and up-to-date delivery of electronic billing statements and notification via text messages. All customers who opted to go paperless can enjoy the benefits of receiving their bills within five days after the cut-off date, viewing their bills online anytime and anywhere, and easily downloading their bills in their computers, tablets, or mobile phones. “We work in solidarity with the rest of the world in ensuring that we take better care of the planet for the sake of the generations that will come after us. We thus make every effort to ensure that while we do our best to meet the current and future needs of our customers, we do so without compromising the welfare of the environment,” said Yoly Crisanto, Senior Vice President for Corporate Communications. Congratulations to all the winners of the Metro Manila Film Festival 2016 which were recognized during the Gabi ng Parangal awards night held on December 29, 2016 at the Kia Theater located in Araneta Center, Cubao. Erik Matti's Seklusyon dominates the MMFF 2016 from which he also won as Best Director. Seklusyon have won all category directing towards the top award but the movie about the private lives of OFWs living in Hong Kong, Sunday Beauty Queen, wins as Best Picture. This inspiring movie is the first ever documentary to ever make it to the festival, and surprisingly won the highest award. The People's Choice Awardee is Die Beautiful where Paolo Ballesteros wins as Best Actor. Ballesteros also received the accolade at the Tokyo International Festival in November. Christian Bables wins as Best Supporting Actor for Die Beautiful. As expected, Irma Adlawan wins as Best Actress for Alvin Yapan's Oro. However, Nora Aunor starrer Kabisera and Eugene Domingo starrer Ang Babae sa Septic Tank 2, did not win any single award. 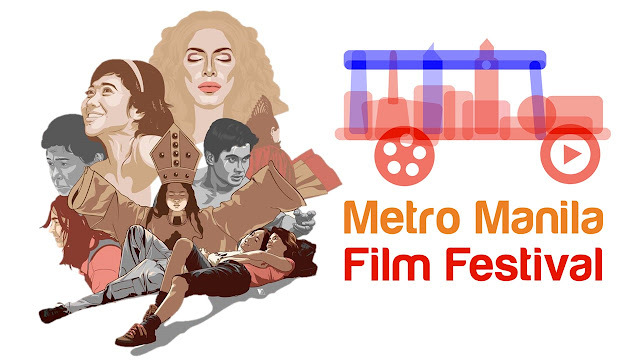 According to MMFF spokesperson Noel Ferrer, unlike previous MMFFs, this year's competition is more "democratized". However, these movies must fill up at least 10% to 20% of the cinemas where they are being screened so they can stay in the bigger theaters. Otherwise, they will either be transferred to smaller theaters or be pulled out of cinemas. Theaters are asked to extend MMFF 2016 movies ’til January 7, 2017. In other news, what can you say about Mocha Uson's performance as #MMFF2016 ambassador? 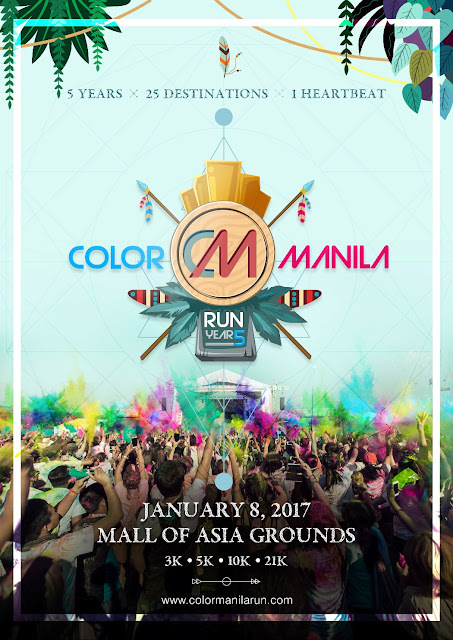 COLOR MANILA, the country’s most aggressive ‘concept fun-run’ organizer gears up for its biggest and most colorful event to date - the COLOR MANILA RUN YEAR 5, to be held on January 8, 2017, at the Mall of Asia (MOA) Grounds. The organizers, headed by Jay Em and Justine Cordero, expect around 12,000 runners who would be joining this much anticipated event. Participants may also expect celebrities to join the event. Notable celebrities and athletes who have joined the event in the past years include Karylle, Kuya Kim, Yassi Pressman, Dominique Roque, Sam YG, Bubbles Paraiso, Yael Yuzon, Rojun Cruz, Katarina Rodriguez, Clea Pineda, Coach Jim Saret, Sheena Halili, Rica Peralejo, Jodilly Pelendre, Betong Sumaya, Miss Earth 2015 Angelia Ong, Miss Universe Maxine Medina, 1st runner-up Ms International Nicole Cordovez, Phil and James Younghusband, Crystal Belo, Maxine Magalona, JC Intal, Elmo Magalona, Patricia Tumulak, Bb Pilipinas Ann Colis, Eric Virata, Toni-Toni, Gerard Pizaras, Jan Marini, Diana Zubiri, Zara Carbonell, Will Devaughn, Eruption and Volcanoes’ Chris Everingham. Participants can also choose from 3K, 5K, 10K and 21K. Registration is still ongoing at www.colormanilarun.com. Christmas is the most enjoyable time of the year. For one whole month, we get to eat our favorite food, see friends and family we haven’t seen all year, and give and receive presents from the people we love. One of the best parts about the holiday is that we get time off from school and work - and this means we get to do some of the coolest things! As we have shifted to the digital age, new holiday traditions are now being created by Globe Broadband. Now Filipinos have more ways to enjoy their digital lifestyle at home with fast and reliable connections. With loads of entertainment right your fingertips, here are the top 10 ways to have a blast at home for the holidays! Take advantage of the holiday​break and catch up on some of the most popular titles on Netflix, online or via offline mode. 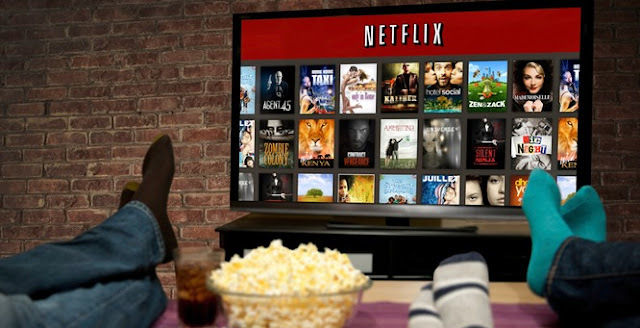 Netflix produces award-winning original shows, such as the political thriller Designated Survivor, the prison comedy-drama Orange is the New Black, the sci-fi homage to ‘80s classics Stranger Things, and the period drama The Crown. In January 2017, Netflix is also releasing the TV series A Series of Unfortunate Events. Based on the internationally best-selling series of books by Lemony Snicket (aka Daniel Handler) and starring Emmy and Tony Award winner Neil Patrick Harris, A Series of Unfortunate Events recounts the tragic tale of the Baudelaire orphans -- Violet, Klaus, and Sunny – whose evil guardian Count Olaf will stop at nothing to get his hands on their inheritance. Those who like more variety in content can tune in to HOOQ. Together with hit international TV and movie titles, the video-on-demand service also carries a wide selection of Filipino content through its partnerships with the likes of ABS-CBN, GMA, VIVA, and Regal. Relive the classics by watching the films of Lino Brocka and Ishmael Bernal, indie favorites from Cinemalaya, and recent TV shows. Early next year, HOOQ and Globe studios, will release the first ever co-produced Subscription Video on Demand original series in Southeast Asia: On The Job, a spinoff on the award-winning Erik Matti film of the same name. Fans of the National Basketball Association (NBA) can watch live games in high-definition video, as well as exclusive content on NBA League Pass. They can even watch game replays from recent seasons, classic NBA games, special features, interviews, and documentaries! Parents who are looking for educational entertainment can certainly find some of the best videos on YouTube Kids. Its content is specifically curated for kids through 4 categories – Shows, Music, Learning, and Explore. With built-in parental controls, moms and dads are assured that their kids are able to watch quality content that will help them learn new things. Take the magic of Disney everywhere and even relive your favorite fairy tales using the Disney Channels Apps! From the Disney Princesses to hit shows such as Phineas and Ferb, Gravity Falls, Art Attack, and Girl Meets World, among others, the Disney Channel Apps has some of the best episodes to keep the family entertained. It even has Disney Original movies, music videos, and short clips! Younger ones will enjoy Disney Junior Asia, which has episodes of Sofia the First, Elena of Avalor, Jake and the Never Land Pirates, Mickey Mouse Clubhouse, and more! Disney XD Asia is more action-packed with content like Avengers Ultron Revolution, Star Wars Rebels, and Guardians of the Galaxy! Music lovers get to party with their favorite tunes w​ith premium access to Spotify and its millions of playlists perfect for every occasion. Spotify Premium lets you create your own playlists, share them with friends and even download it for offline listening. The Discover feature also lets one listen to new tracks and similar songs you may like based on your recently played music. Ever get-together will definitely have its own playlist! Belt out to your most favorite tunes with Sing! Karaoke by Smule. This new app changes the way you do sing-alongs because you can now take it anywhere with your smartphone. Fulfill your dreams of becoming the Philippines’ next superstar by recording a song on the app to an audience of thousands. Now you can take your shower concerts to the next level and even jam with your favorite artists that are featured on the app! Gamers in the family will have the coolest time playing games online without worrying about running out of credits! Gamers can now easily get e-pins for Garena, Steam, PlayPark, or Gameclub to build bases, conquer worlds, and defeat the enemies before mom calls you for Noche Buena dinner. 9. Enjoy your favorite apps on faster speeds! Entertainment apps are best enjoyed with fast and reliable speeds. For only 1299/month, you can get your movie marathons, karaoke sessions, and even game nights with Globe Broadband speeds of up to 10 Mbps. Customers also have the option to boost their monthly data allowance or their WiFi connection for maximum viewing pleasure. Changing the way families enjoy broadband, Globe now offers customizable plans that allows customers to bundle it with a variety of devices! From Android and smart TVs to streaming devices such as Google Chromecast and Apple TV, you can pick the device that matches your home digital lifestyle. The holidays let us have more time to enjoy and discover new things. With a reliable connection coupled with some of the most entertaining content, everyone is up for another memorable time filled with awesome flicks, cool hits and fun games all from Globe Broadband. As of 2 pm Tuesday, Globe Telecom is now able to provide critical telecommunication services in majority of areas heavily affected by Typhoon Nina amid accelerated efforts to restore the company’s wireless network. According to Yoly Crisanto, Globe Senior Vice President for Corporate Communications, the company has restored 53% of service areas that were adversely impacted within the last 24 hour period. Widespread commercial power outages and multiple fiber cuts following strong winds caused service disruptions especially in critical areas such as Legazpi, Albay and in Pili, Camarines Sur. “Globe will continue to step up restoration efforts until we have completely restored voice, text, and data services in all typhoon-hit areas,” she emphasized. Alongside restoration efforts, Globe is helping the victims of Typhoon Nina by providing libreng tawag and libreng charging stations in Boac, Marinduque and in Barangay Tinago, Naga City. 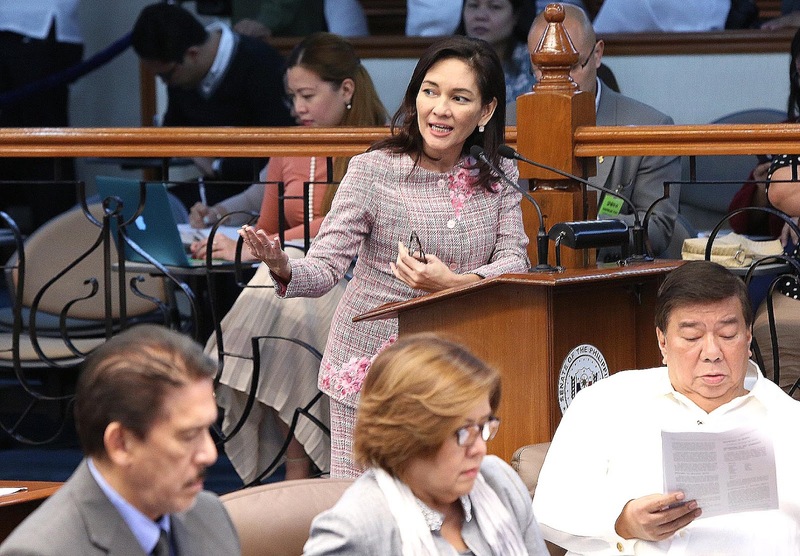 Asserting that the country's drug problem has always been a public health concern, Akbayan Senator Risa Hontiveros today said that the government should have implemented a public health policy on drug abuse from the very start, instead of encouraging a climate of killing in its war on drugs. "Our country did not need more than 6,000 people to die in order to see drug abuse as a public health issue. The government's supposed shift to a public health approach in its anti-drugs campaign should have come first in a comprehensive response. At this point, I am afraid that this is an attempt to appropriate the public health advocacy without stopping and exacting accountability for the extrajudicial killings. Malacañang is painting a picture of victory and is using the public health discourse to provide a humane face to its deadly war on drugs and evade accountability for the patent abuses," Hontiveros said. It was reported that on Tuesday, Malacañang announced that the country’s drug problem has now become a “public health issue" after it claimed "victory" in its war on drugs. This is despite President Rodrigo Duterte’s failure to make good on his electoral promise to end the drug problem in six months. "Add rehab centers and stir"
Hontiveros said that the Duterte government can't just use an "add rehab centers and stir" approach in its belated attempt to add a health angle to its deadly war on drugs. 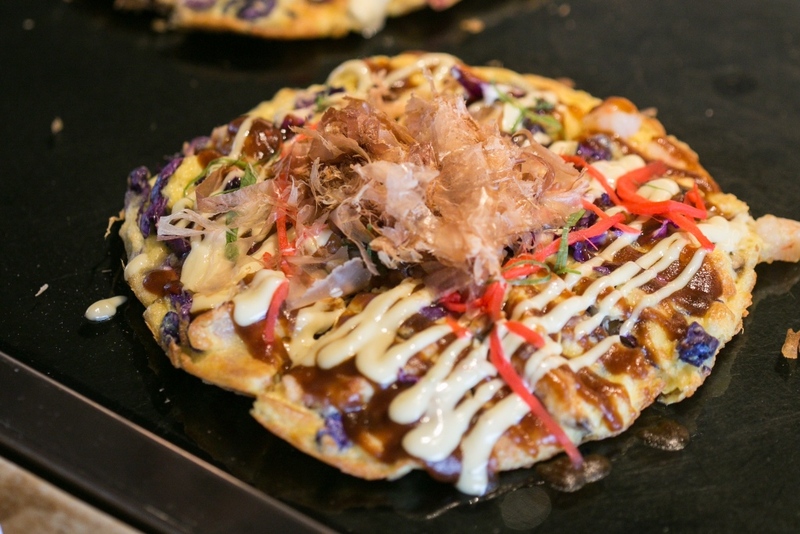 "It would be mechanical and tokenistic. The government might think that by simply building a mega-drug rehabilitation center and putting all the drug addicts there, it has sufficiently addressed the health needs of the drug users. Yet, what the majority of the drug users actually need are not inpatient care but outpatient healthcare interventions," Hontiveros explained. Hontiveros, who is Chair of the Senate Committee on Heath, said that only 9% of suspected drugs users who have surrendered under Oplan Tokhang were committed in rehabilitation facilities. The 91% who do not need institutionalized support went back to their communities. She said that the progress in modern drug rehabilitation and comprehensive out-patient healthcare programs guarantee that only those who are extremely addicted to illegal drugs are admitted to a drug rehabilitation facility. "The government should have heeded our appeal at the outset and mobilized resources in the funding of out-patient rehabilitation programs and community drop-in centers, as well as harm reduction capacity-building sessions for local governments, health agencies and non-government organizations. Now, much harm, which could have been prevented, has been inflicted on thousands of dead, drug dependents further cut off from health services and poor people deprived of public funds used for Tokhang instead of for social and economic programs," Hontiveros said. The senator said that the best public health approach now appropriate for the situation is for the government to put a stop to the extrajudicial killings. "Ending the killings and holding all those responsible for these atrocities must be done alongside the implementation of a public health agenda on the anti-drugs campaign. Failure to do so will fuel further speculations that the government not only condones the EJKs, but sanctions them, to the detriment of the people's health," Hontiveros concluded. Globe Telecom has dispatched technical personnel to immediately restore network services affected by Typhoon Nina in some parts of Albay, Catanduanes, Camarines Sur, Sorsogon, Marinduque, Sorsogon and Masbate, Oriental Mindoro and Quezon as of 12 pm Monday. Strong winds from Typhoon Nina that caused commercial power interruption and multiple fiber cuts resulted in temporary service disruptions especially in Albay and Camarines Sur. Business continuity protocols including network redundancies have been activated to reduce the impact of service disruption to customers in the said areas. "Based on our network team assessment, intermittent services were mostly caused by commercial power outages in the Bicol Region. Generator sets for cell towers are now being used to allow customers to use basic telecommunications services such as calls and text messaging. 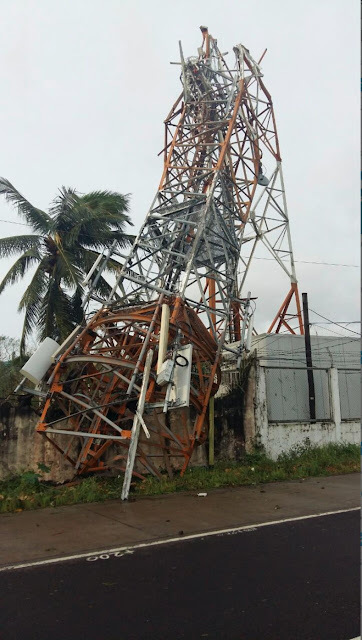 However, at least 6 towers located in Camarines Sur (4 towers) Albay and Marinduque were structurally affected which will make full service restoration longer. The towers were reportedly damaged because of strong winds that ran up to 200 km per hour. Multiple fiber cuts were also reported from Pili to Legaspi," said Yoly Crisanto, SVP for Corporate Communications of Globe. Globe technical teams have been deployed to make restoration efforts as soon as weather permits. Globe is likewise coordinating with government agencies relating to deployment of relief operations in areas affected by the typhoon. Globe Telecom transmitted a total of 11 text messages, warning customers of potential dangers coming from Typhoon Nina prior to its landfall. According to Globe Senior Vice President for Corporate Communications Yoly Crisanto, transmittal of the text messages was undertaken in coordination with the National Disaster Risk Reduction and Management Council (NDRRMC) at no cost to consumers. “As a provider of vital telecommunications services, Globe recognizes the importance of disseminating information that would help ensure the safety and security of our customers specially during times of emergencies and calamities. The company is deeply committed in providing support for the government in undertaking such initiatives,” Crisanto said. Crisanto said the mobile disaster alerts sent by Globe included critical information that communities at risk can use to prepare for and respond to disaster. She said Globe began transmittal of SMS alerts last December 24, at around 6 pm directed to customers in Catanduanes, Albay, Sorsogon, Northern Samar, warning them to take caution against dangers brought by the typhoon. Globe said 10 more text messages were sent out, also directed in addition to the four provinces, to customers in Camarines Sur, Camarines Norte, Masbate, including Ticao and Burias island, Marinduque, Quezon, Oriental Mindoro, Batangas, Romblon and Polilio island. Globe sent out close to 11 million text messages, which were crafted by NDRRMC and relayed to Globe for transmittal, she added. Globe Telecom said it is ready and well-prepared to accommodate an expected surge in network traffic during the holiday season. The company expects a significant increase in network traffic even as customer behavior in sending holiday greetings continue to evolve, Globe Senior Vice President for Corporate Communications Yoly Crisanto said. “Growing adoption of smartphone devices, as more and more of our customers continue to shift to a digital lifestyle, is expected to lead to surges in data use. With the seasonal increase in data traffic, we want to assure our customers that Globe is ready and well-prepared to accommodate our customers’ bandwidth requirements,” Crisanto said, adding that Globe also expects similar a surge in network traffic coming from voice and SMS traffic. Globe recently completed deployment of 500 LTE sites using the 700 megahertz band consistent with efforts to improve internet service in the country. Majority of the company’s L700 sites were deployed mostly in Metro Manila and other highly-populated areas, where majority of customers using LTE-based handsets are located. In addition, the company also activated 900 additional LTE sites using the company’s additional spectrum allocation in the 2600 megahertz band. With the deployment of LTE sites using both the 700 and 2600 bands, Globe is now able to deliver a more comprehensive LTE coverage in Metro Manila, Metro Cebu, Metro Davao and other major urban areas in the country. The use of both LTE 700 and LTE 2600 bands, along with the company’s additional spectrum resources, supports the capacity enhancement initiative launched by the company early 2016 intended to elevate the state of internet in the country. Globe also launched early this year an initiative of creating an internet superhighway by deploying fiber optic cables in 20,000 barangays all over the country to provide faster and more reliable internet access in about 2 million homes nationwide. The Privacy Commissioner said this after it was recently revealed by Yahoo that more than 1 billion user accounts were compromisedfrom a data breach that happened in August of 2013. The breach is now considered the largest email data breach in history. Sensitive personal data were compromised including email addresses, dates of birth and telephone numbers that can be used in identity theft and phishing scams. The breach much was bigger than the data breach in 2014 of around 500,000 user accounts that was only announced by Yahoo in September of 2016. “If you use Yahoo for email or other yahoo online services, we suggest that you not wait until the end of the year to change your account credentials, but instead change them as soon as possible.”, Chairman Liboro said. 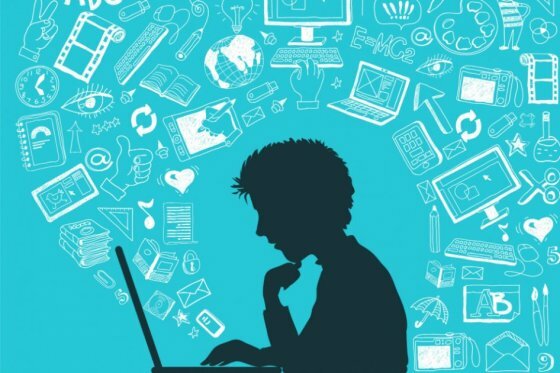 “Email is usually the means social media services such as Facebook confirm your identity, if your email is compromised, there is a chance that your social media accounts are compromised as well, and criminals could use confidential information there to commit cybercrimes directed at you or the contact list on your email and social media accounts.” Liboro added. In the Philippines, personal data breaches must be reported to the NPC within 72 hours from their discovery, this is according to the Implementing Rules and Regulations (IRR) of the Data Privacy Act (R.A. 10173) issued by the Commission in August of this year. Other than password changes the NPC is also recommending that Internet users utilize two-factor authentication for confirming their identity. Two-factor authentication is when Internet services send a text message or a code to your mobile phone to confirm who you are instead of just sending an email. Email providers sometimes use this feature when someone accesses their account from an unfamiliar IP address or device. 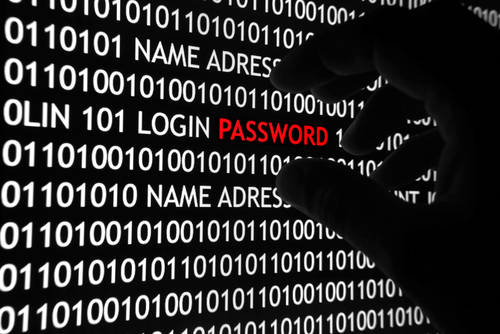 Don't re-use passwords. One ultra-secure one won't be any good if someone finds it. While combining upper and lower case passwords with numbers to alter a memorable word - M4raD0na - is often advised, these are more easily cracked than you might think. Changing passwords to passphrases like: “AskalsAreTheBestTeamInAsia”- dramatically improves security. Each additional character increases the number of possible combinations exponentially, making it virtually impossible to crack. 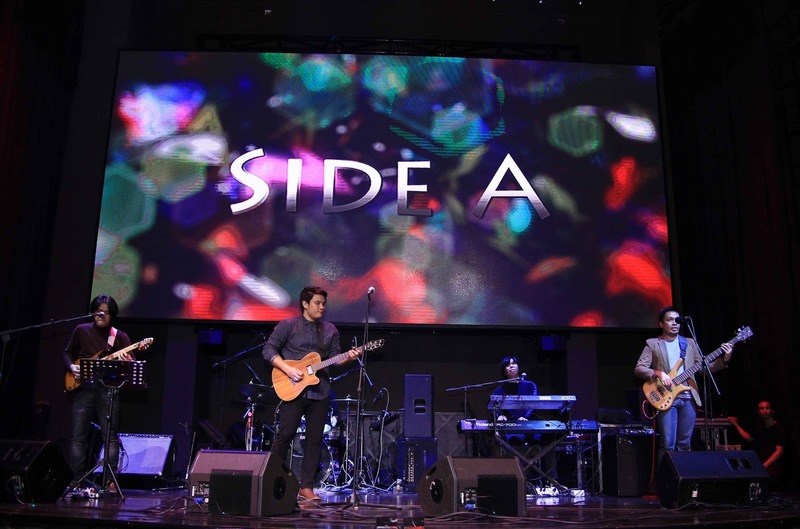 Globe Telecom, together with its strategic partner Amdocs, major stockholder Singtel, concerned customers and employees joined forces to successfully raise funds for the much-needed rehabilitation of the Philippine General Hospital’s pediatric cancer clinic. The cost of renovation, which is P863,380.52 will be turned over to the PGH Medical Foundation, Inc., a non-government organization founded in 1997 which acts as the fund-raising arm of PGH. Amdocs and Singtel donated P200,000 and P100,000, respectively, as part of their corporate social responsibility efforts while the rest came from Globe employees and customers. This was in response to a call made by Globe to its employees, partners, and customers to share their time, treasure, and talent in bringing cheer to the young cancer patients in PGH and in helping raise funds for the clinic. PGH currently serves about 600,000 patients annually, about 80 percent of which are indigent. “We are proud to have our partners, employees, and customers step in to participate in this worthwhile undertaking. We continue to encourage everyone to work together so that through this project, we can all bring hope to the patients at the PGH pediatric cancer clinic,” said Yoly Crisanto, Globe Senior Vice President for Corporate Communications. Earlier, Globe launched a heartwarming video in line with the premiere of the latest Star Wars movie franchise Rogue One: A Star Wars Story. The video garnered over 40 Million views and was recognized by international news sites such as CNN, Mashable, and Huffington Post among others. The video strongly demonstrated the resilience of children in face of adversity and encouraged the audience to help in the rehabilitation of the PGH Pediatric clinic via donations through prepaid load or charged to their postpaid bill. Globe always tries to give back to the communities where it operates, thus, PGH was chosen as the beneficiary of the project. Manila, where PGH is located, was the first local government unit to cooperate in removing the hurdles in infrastructure building, thereby, allowing the deployment of fiber optics in Binondo for ultra-fast internet access. Those interested to help may still donate denominations of P100, P200, and P500 from their prepaid load or postpaid plan via SMS by texting PGH to 2158-0744 (PGH) or by using their GCash Android App and following the instructions given. After 89 years since legendary football superstar Paulinho Alcantara retired from FC Barcelona, homegrown Filipino booters will once again step on the popular La Liga team’s pitch but this time for an advanced training and schooling with some of the Spanish club’s most revered coaches and trainers. The six young Pinoy footballers aged 10-12 who luckily punched a ticket to the 12-day Astro Kem Bola Overseas Training Programme in Barcelona, Spain this month are Lance Lawrence Locsin, Jared Alexander Peña, Ryan Philip Johansson, Astrid Heiress Ignacio, Mikaela Jacqueline Villacin and Jasmine Cassandra Agustin. 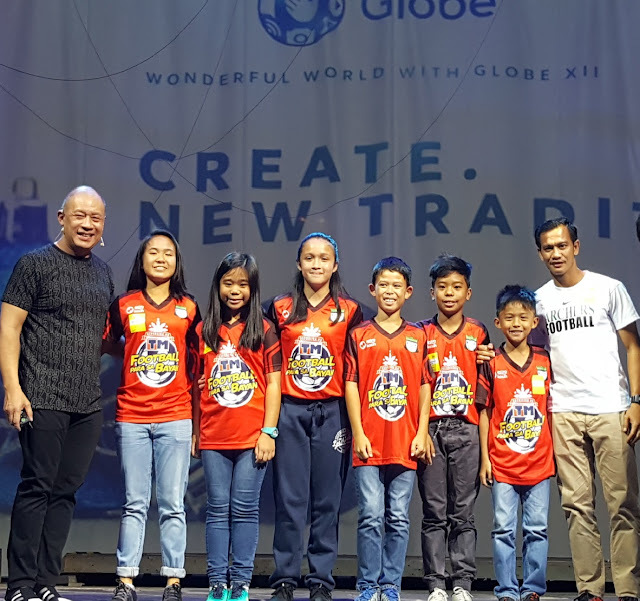 The team was the product of a two-month long TM Football Para sa Bayan (TM FPSB) talent search organized by Globe Telecom in July and August. Globe was tapped by Malaysian media and entertainment powerhouse Astro to be its partner in discovering talented young athletes and helping them further harness their craft. Globe Director for Citizenship Fernando Esguerra expressed elation over the selection of the six players especially after going through tough competition against other footballers from the South East Asian region. The six were among 12 Filipino players who qualified for the Astro Kem Bola Advanced Training Programme held in Kuala Lumpur, Malaysia two months ago which was also participated by 60 players from Malaysia and Singapore. The Philippine players will join 22 kids from Malaysia and four from Singapore to train with coaches from FC Barcelona. “Nothing is more rewarding than seeing potential turn into reality. In a special way for these young kids, the experience gives them a unique opportunity to really see how far their talent can develop at such an early age. I'm sure they will do us proud,” added Ray Guinoo, TM Portfolio and Brand Head. The kids were selected not only based on talent but also on other criteria such a teamwork; discipline, behavior and sportsmanship; communication on and off the pitch; positive attitude towards teammates, volunteers, and coaches; ability to listen to instructions; and good personality. The luxury integrated resort City of Dreams Manila delights revelers with a spectacular experience to ring in 2017 with a gastronomic adventure in one of the signature restaurants such as Nobu Manila, Crystal Dragon and Red Ginger, and other dining options, and intensifies the celebration with a high-voltage energy of the New Year’s Eve Countdown party at CenterPlay with a 12-hour non-stop entertainment; Chaos Night Club with international DJ Stadiumx; and Wave restaurant, dinner by the Nobu pool area for an outdoor vibe and view of the fireworks display by the Manila bay skyline. For epicureans who’d like to welcome 2017 with a high note, it’s simply Nobu or nothing. 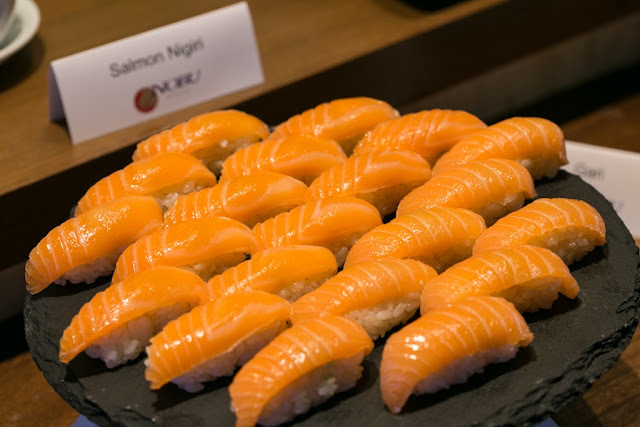 With these gourmands and their loved ones in mind, Nobu Manila is prepared to satisfy the most discerning palate with the Nobu New Year’s Eve special seven-course Omakase dinner and New Year’s Day Brunch. The New Year’s Eve seven-course dinner includes a “zensai” of Vegetable and Quinoa Ceviche followed by the Toro Tartar With Osetra Caviar, Wasabi Soy And Kumamoto Oyster Duo. A delightful array of the freshest seafood follows: Nigiri Sushi With Oh-Toro, Kinmedai, Hamachi, Tasmanian Ocean Trout And Unagi; Sashimi Two Ways Comprised Of Australian Scampi, Uni And Truffle New Style and Japanese Snapper Dried Miso; Sashimi Salad Of Kampachi, Blue Fin Tuna And Tachiuo Topped With Matsuhisa Dressing; And Phyllo Wrapped King Prawn In Sweet Truffle Aioli, Smoked Cauliflower Puree And Micro Greens. 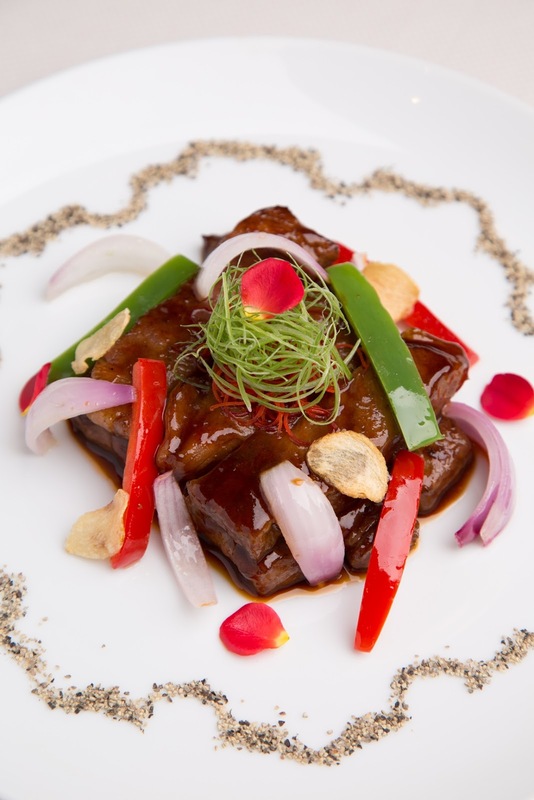 The sixth course and the evening’s entrée – Seared Wagyu Beef With Foie Gras Miso, Caramelized Onion Dust, and Braised Daikon – balances the meal’s selection of premium seafood fare. Ending the seven-course dinner is Nobu style cheesecake, a unique take on the classic favorite. 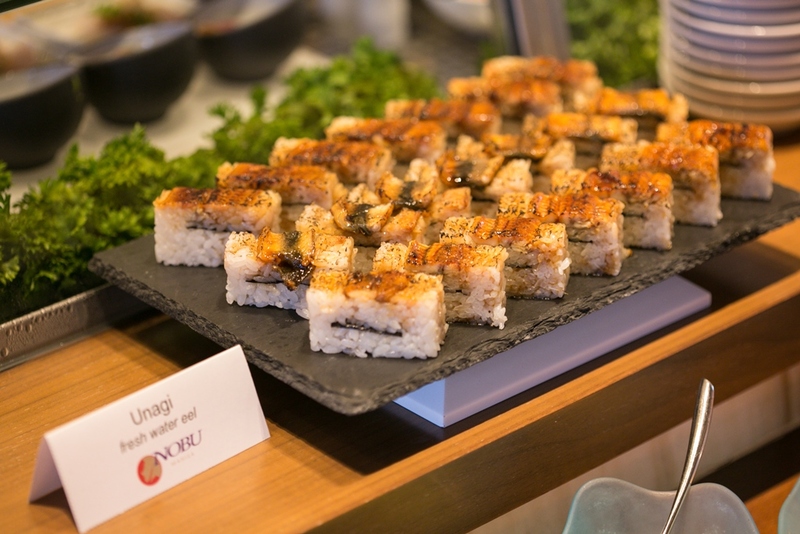 At the New Year’s Brunch, a carving station offers a Rosemary Miso Crusted Prime Rib perfectly paired with Nobu style sauces creamy wasabi, rosemary den miso, sweet soy anticucho. Guests are spoilt for choice with an assortment of kushiyaki or skewered and grilled meat and vegetables, and pass around items such as Tuna Poke On Crispy Nori Chip, Washu Beef and Shrimp Tempura With Creamy Spicy Sauce. 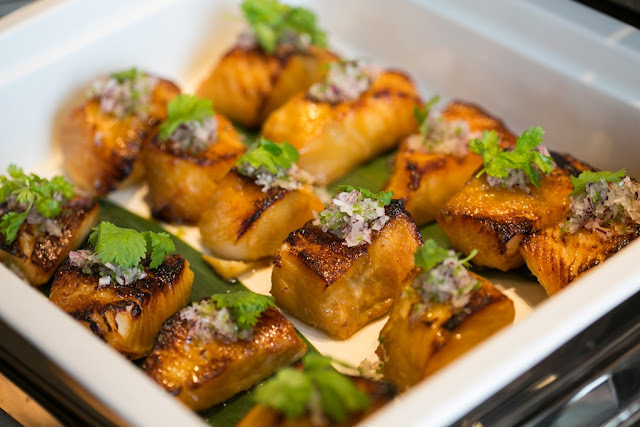 The special hot buffet items include Chef Nobu Matsuhisa’s signature Black Cod Miso, Braised Shortrib Sliders and Grilled Chicken Teriyaki Balsamic. 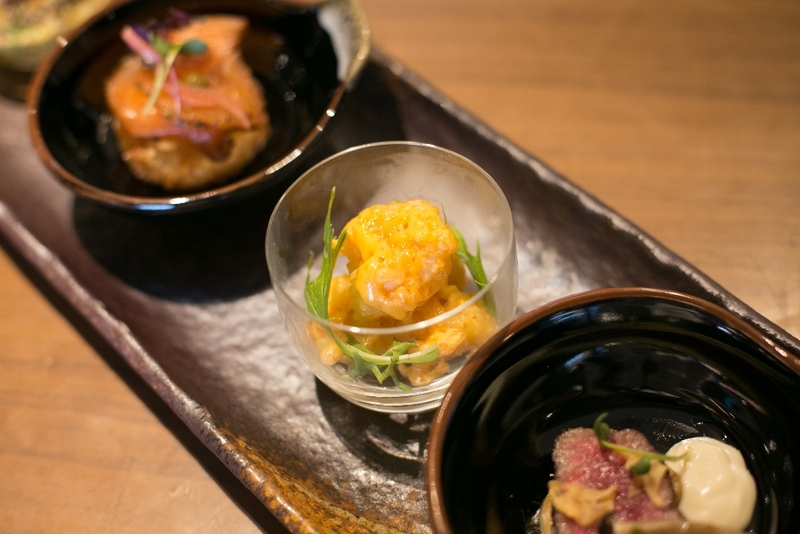 Completing the selection are Nobu style creamed corn, Roasted Sweet Potato With Truffle Quinoa, Roasted Cauliflower with Warm Jalapeno Matsuhisa, Yaki Udon and Japanese steamed rice. The New Year’s Eve Omakase Dinner is at P6,999++ per person. The New Year’s Day Brunch is at P3,880++ per person and an additional of P1,700++ per person to avail of the premium drink package with alcohol. For December 30 and 31, in time for New Year’s Eve festivities, guests craving for Cantonese cuisine can opt for the premium set menus for lunch or dinner. Set Menu A is composed of Double Happiness Combination Platter: Crispy Prawns with Wasabi Mayo Salad, Deep-fried Eggplants with Pork Floss and Spices; Double-boiled Chicken, Fish Maw Soup with Maca Herbs, and Ling Ji Mushroom; Steamed Cod Fish with Baby Pak Choy in Cantonese Homely Flavor Sauce; Stewed Pork Ribs with Canton Bou and Chinese Wine Vinegar Reduction; Braised E-Fu Noodles with Crab Meat served with Vegetable Parcel and Morel Mushrooms; William Pear Mousse with Oolong Tea Gel, Coconut Malibu Ice Cream. Set Menu B comes with Crystal Dragon Three Combination Platter: Hand Roll Beijing Duck, Crispy Seafood Roll, Poached Soy Herbal Chicken Roll, Stir-fried Crab Meat and Scallop Omelet served in Crispy Cup; Puree of Yellow Pumpkin infused with Truffle and Scallop Dumpling; Steamed Grouper Fillet with Baby Pak Choy, Chopped Ginger and Preserved Turnip; Braised Mushrooms, Bamboo Pith, Sea Cucumber with Vegetables and Bean Curd; Pan-fried Ohmi Wagyu Beef Sirloin with Chef’s Special Sauce paired with Wok-fried Fragrant Rice with Diced Abalone, Pumpkin and Seafood; and Lychee Dome with Pomegranate Gel with Jasmin Tea Ice Cream. 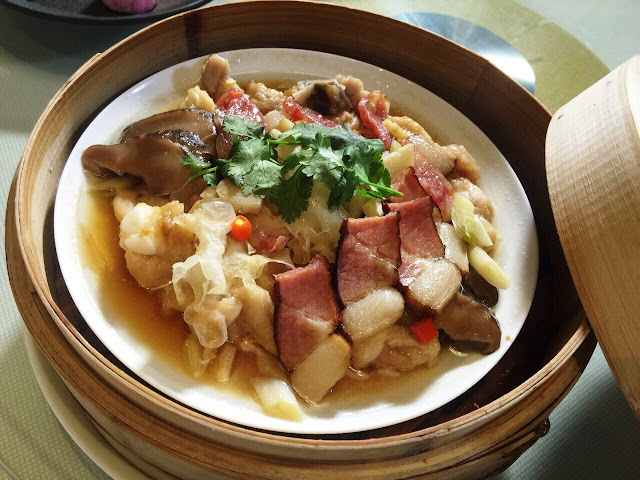 The New Year’s lunch and dinner set A and B menus are at P4,680++ and P6,180++ per person, respectively. A Yuletide celebration for Red Ginger brings hearty a la carte dishes daily for lunch and dinner. 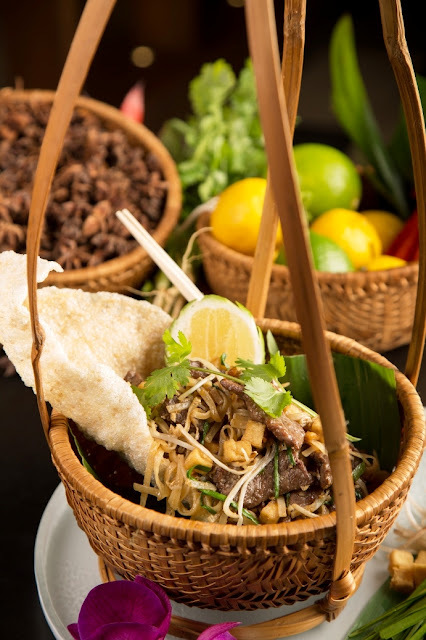 From December 16 to 31, the restaurant’s Festive Platters let diners experience a range of Southeast Asian cuisine -- Red Ginger Sampler of Malaysian style “Otak Otak”, Lemongrass Chicken Skewers, Charred Salmon Salad and Crispy Crab Wonton at P540++; Wagyu Beef Phad Thai made with Stir-Fried Rice Noodles, Marinated Wagyu Beef, tofu, bean sprouts, chives, Tamarind Sauce, and crushed peanuts at P780++; Ayam Percik or Roasted Spring Chicken with Fragrant Spices, Coconut Pandan Rice, and assorted Tagaytay leafy greens at P640++; Hoisin-Glazed Australian Lamb Cutlets in Asian Herb Salad, Oven-Dried Tomatoes and Coconut crumbs with steamed Jasmine rice at P980++; and Babi Pongteh or Nyonya Style Slow-braised Pork with preserved yellow beans, black mushrooms, and traditional vegetable achara with steamed Jasmine rice at P560++. Red Ginger festive platters starts at P540++ for a la carte dishes. Enjoy a mouthwatering spread by dining al fresco style with live acoustic entertainment while enjoying a panoramic view of the fireworks by Manila Bay at Wave for New Year’s Eve dinner on December 31. An expansive variety of appetizers, salads, seafood, breads, cheeses, and desserts are part of the delightful spread together with carvings of Suckling Pig Lechon, Whole Roasted Turkey, Whole Roasted Baby Piglet, Lemon Grass stuffed with House Made Lechon Liver Sauce, Rolled Turkey Leg with Roasted Breast, Stuffing, Cranberry, Turkey Jus, Brussel sprouts and Roasted Carrots. 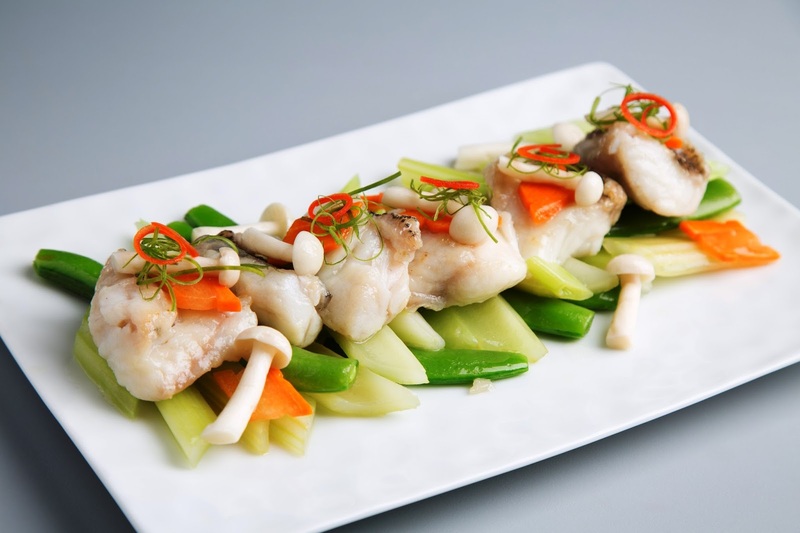 For seafood, Blue Swimmer Crab, King Prawns, Slipper Lobster, Spanish Mussels with Brandy Cocktail Sauce and Condiments, Norwegian Salmon with Soy and Garlic, Grilled Slipper Lobster with Ginger and Shallots, Black Grouper with Preserved Lemon, and Lemon Grass Whole Black Tiger Prawns will be offered. 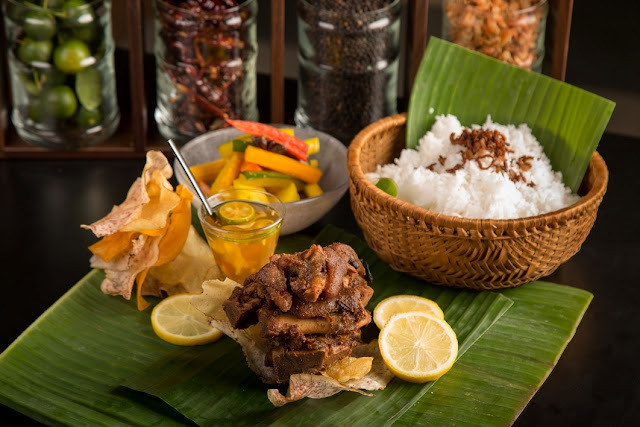 Hickory Smoked Black Angus Beef Brisket, Tamarind Glazed Pork Ribs, and Indonesian Chicken Satay are likewise available for meat lovers. At the dessert station, diners can expect Mince Pie, Deconstructed Mont Blanc, Festive Assorted Éclair, Ginger Bread Christmas Tree, Stolen White Chocolate Cream with Spiced Apricot Compote in Glass, Hazelnut Ginger Spiced Pecan Nut Tart, Christmas Pudding with Brandy Sauce, Malibu and Mango Christmas Log, Selection of Seasonal Fresh Fruits, Yule Log and Imported Italian Pantone, as well as a Chocolate Fondue area with Christmas Dry Fruits Cake, Marshmallow, Fresh Fruits and Assorted Meringue Color. Puto Bumbong, a traditional Filipino Christmas Dessert of Steam Glutinous, Fresh Grated Coconut with Palm Sugar, will also be available. 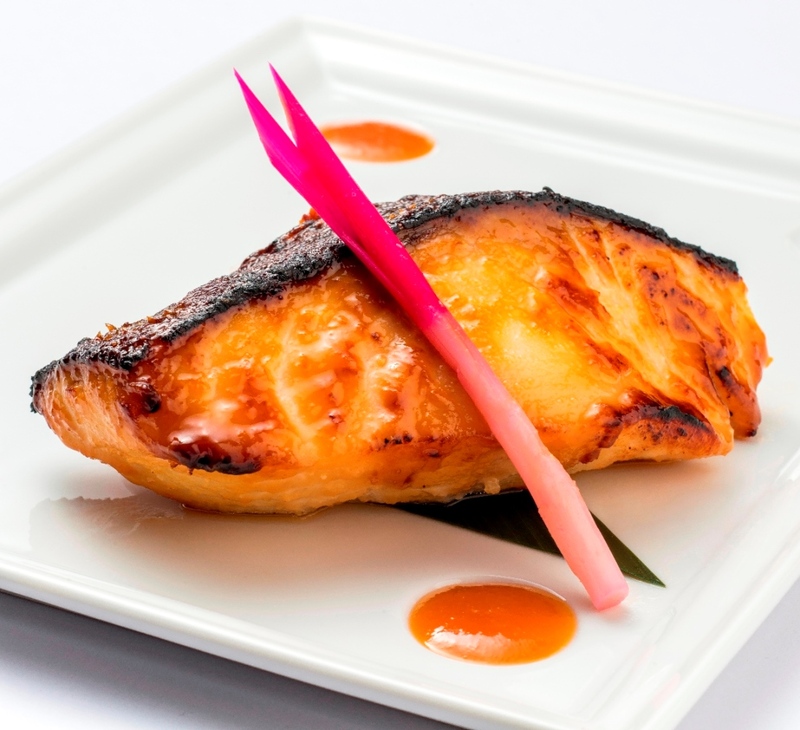 Nobu Hotel’s poolside restaurant, Wave also holds weekly Sunday outdoor dinners including January 1, 2017, New Year’s Day, from 5 to 9 PM. 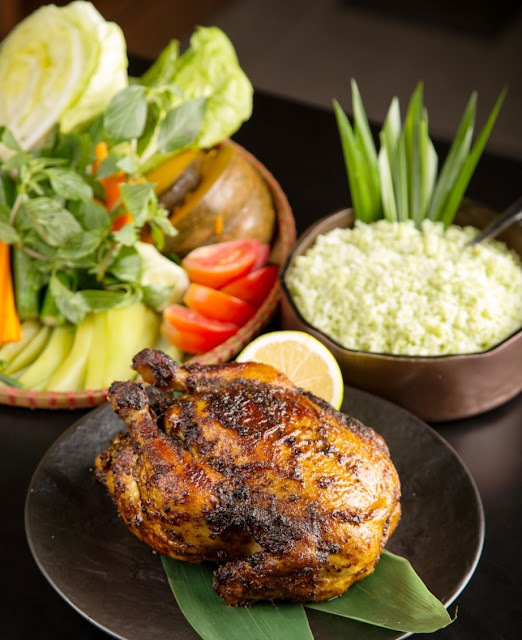 Accompanied by live entertainment, an expansive array of buffet offerings showcasing premium salads, breads, grilled meats, seafood paella, and desserts are available for guests. 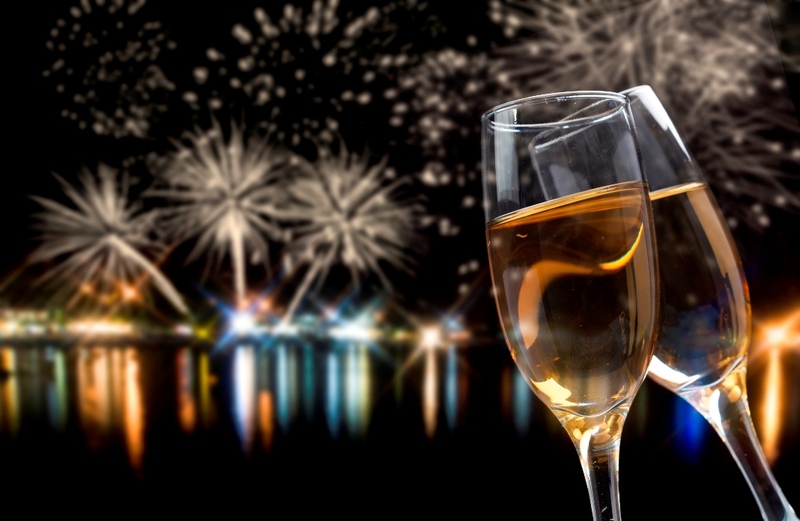 The New Year’s Eve dinner is at P2,900++ per person with a choice of one iced tea, soda, or chilled juice and Wave Sunday Grill on New Year’s Day is at P1,280++. Guests can add P1,000++ for the New Year’s Eve dinner and P700++ for the New Year’s Day Sunday Grill for an upgrade to free-flowing non-alcoholic beverages as well as unlimited local beers and cocktails. 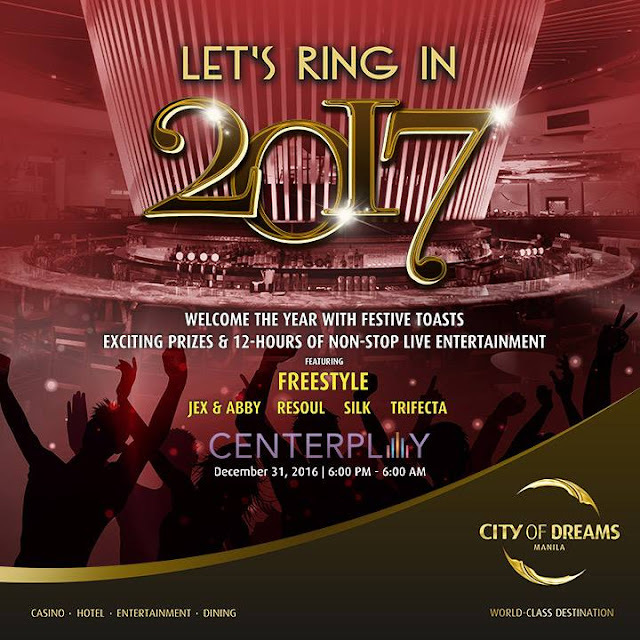 Partygoers will have an exceptional time welcoming 2017 from dusk till dawn (6:00 PM to 6:00 AM) with a 12-hour non-stop entertainment and exciting raffle prizes at CenterPlay, situated at the main gaming area of City of Dreams Manila. Live band performances culminate with Freestyle’s grand salvo to the New Year’s Eve countdown party from 11:30 PM to 12:30 AM. Other featured top local bands are Jex and Abby, Silk, Resoul and Trifecta. 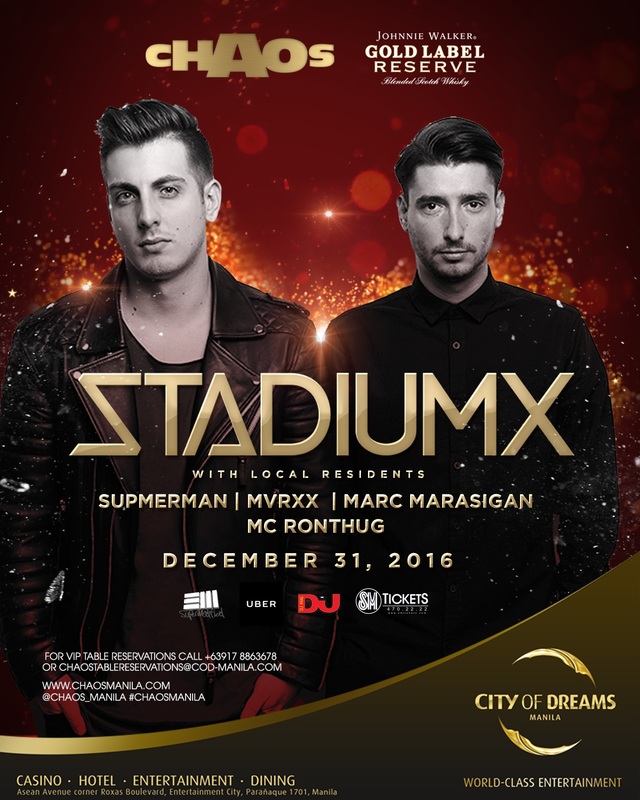 A supercharged and Candyland-themed New Year’s Eve countdown party featuring international electronic dance music (EDM) DJ Duo Stadiumx will thrill the nightlife elite at Chaos Night Club. To jumpstart the party fever and sustain the high-voltage energy of the 2017 countdown party, Chaos resident DJs Supmerman, MVRXX, Marc Marasigan will be spinning the soundtrack of Top 40 hits, hiphop, trap, bass, electro, EDM, House, Nu-Disco/Indie House, dubstep and RnB. Chaos resident hypeman Ronthug, known as one of the new generation club emcee and rap artist will keep the party crowd’s excitement and interaction with the DJ performers. The New Year’s Eve Countdown party culminates with the live performance of Stadium X. The Budapest-based DJs and producers David and Sullivan will bring the house down with “Xsound,” the duo’s signature EDM which is a unique and energetic sound fused with production techniques from multiple genres. For Chaos Night Club, P1,000. door charge includes one drink. For VIP table reservations, guests can call 0917-8863678 or e-mail chaostablereservations@cod-manila.com. For dining inquiries and reservations, guests can call 800 8080 or e-mail guestservices@cod-manila.com. 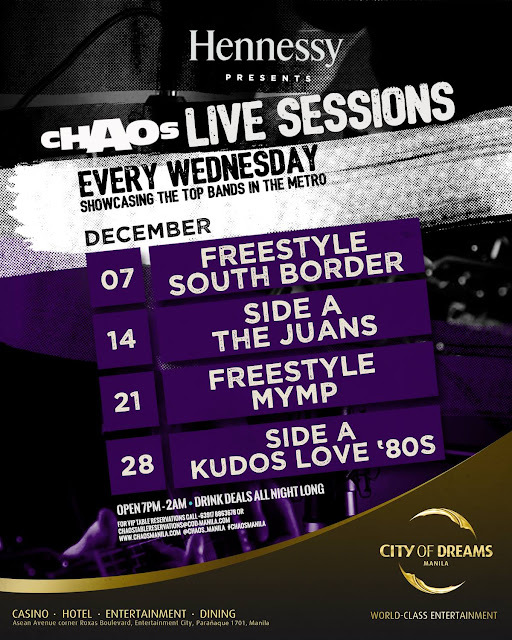 Stellar local bands of the 90s perform every Wednesday, 9pm at Chaos Night Club at City of Dreams Manila this December. Upcoming performances at the trendsetting nightclub include Freestyle and M.Y.M.P. on December 21, and Side A band together with Kudos Loves 80s on December 28. 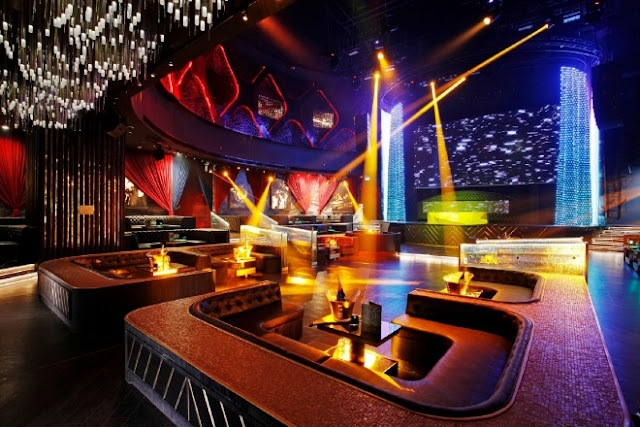 Chaos nightclub has hosted a number of world-class performers including prominent international DJs from a wide spectrum of electronic dance music sub-genres, as well as popular hip-hop and R&B artists on weekends. Wednesday nights are currently dedicated to locally-renowned homegrown talents who continue to elevate music to a whole new level. Freestyle fans will be treated to a live performance of the band’s memorable hits such as “So Slow”, “This Time” and “Bakit Ngayon Kalang?” Ushering a new era for Freestyle is the fresh voice of Ava Santos, who's behind a series of popular Ivory Records' acoustic albums: Love Songs Unplugged 6,7,8; Praise & Worship Unplugged, Chill Out Sessions and Whitney Houston Acoustic. With continuing members, Gerald Banzon (drums), Rommel dela Cruz (bass), Tat Suzara (guitar), Mike Luis (vocals and keyboards), and Joshua Desiderio (vocals and keyboards) the collaboration with the new vocalist resulted into a powerhouse of rich harmonies, and robust music, flavoring their cool mix of old and new school R&B, Hip Hop, funk, neo soul and ballads. 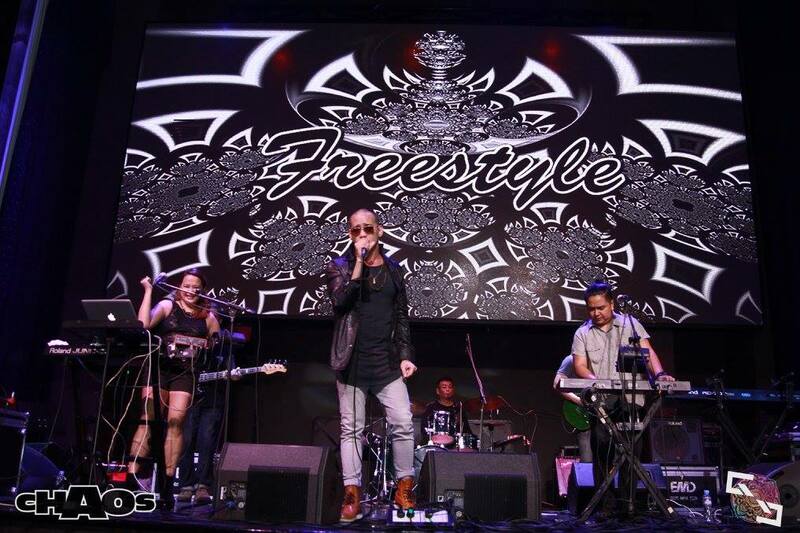 Freestyle is currently promoting their latest independent album: Mga Kwentong Kinanta. The album showcases original compositions including "True Love", "Kahapon", and “Kulang Ang Mga Sandali". On the same night of Freestyle’s show, M.Y.M.P. will also perform some of their most popular acoustic rendition of pop songs. M.Y.M.P. (Make Your Momma Proud) acoustic band is comprised of Chin Alcantara (guitar/vocals), Jana Laraza (vocals), Ibey Haber (bass), Hannche Bobis (keyboards) and Joel Tolentino (drums). The band has released 7 studio albums namely Soulful Acoustic, Versions, Beyond Acoustic, New Horizon, Now, The Unreleased Acoustic Collection and Electrified. During the last Wednesday of December, Side A band and Kudos Loves 80s will perform alternately on stage for a last hurrah to 2016. Having undergone several permutations in its long career, South Border has nevertheless retained its unique sound and musical sensibility and has even moved up along the current global trends in music. Hence, retaining the top spot in their particular musical genre. Much credit goes to keyboardist, chief songwriter, arranger, producer and musical director and lead creative genius Jay Durias, the staunchest unifying force that has kept the band and its music alive and thriving.Side A band composed of Naldy Gonzalez (keyboard/vocals), Ernie Severino (drums/vocals), Leevon Cailao (lead guitar/vocals), Ned Esguerra (bass/vocals) and Yubs Esperat (vocals/guitar) will captivate Chaos nightclub patrons with their original songs that bring back a lot of memories. Known for their romantic ballads and up-beat live performances, the group never stops reinventing themselves and have worked hard to give their very best in both recordings and live concerts. As multi-awarded and certified platinum recording artists, Side A is considered as the most durable band in the country today and continues to be an ever-innovative musical force in the industry. Guests can go back further in time and relive the heydays of their lives with Kudos Loves 80s band, the ultimate 80s tribute band in Manila. 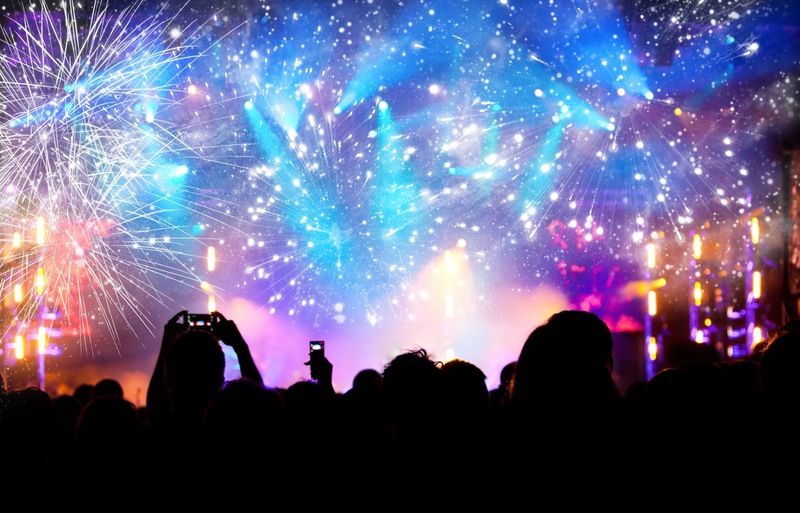 Partygoers will be amazed with the band’s faithful renditions of the most beloved 80s songs from pop, love songs, dance hits, synth-pop to new wave. Kudos Loves 80s band members are Richard Soto (Vocals/Guitar/Percussion), Yohan (Guitar/Synth/ Vocals), Marc (Drums/Percussion), Ralph (Bass/Vocals), Jomar (Keyboards/Vocals), and Melai Katsumi (Vocals). The band will perform the music of The Police, Tears for Fears, Mike Francis, New Order, Big Country and other 80s popular bands. Tickets to see the live band performances every Wednesday at Chaos are at P400 each with one (1) drink. For VIP table reservations, guests can call 0917-8863678 or e-mail chaostablereservations@cod-manila.com. City of Dreams Manila ushered in the holiday season with a festive Christmas tree lighting ceremony at The Shops at the Boulevard, the luxury integrated resort’s retail avenue that houses some of the world’s most sought-after brands. 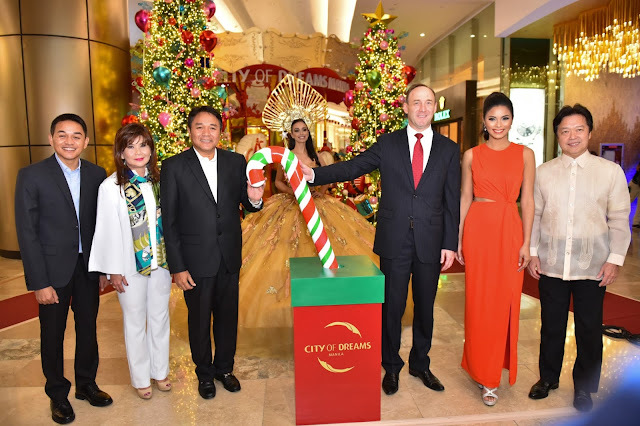 The Christmas tree lighting event marks the beginning of City of Dreams Manila’s 6 unique holiday activities and offers that will please the young and the young at heart. 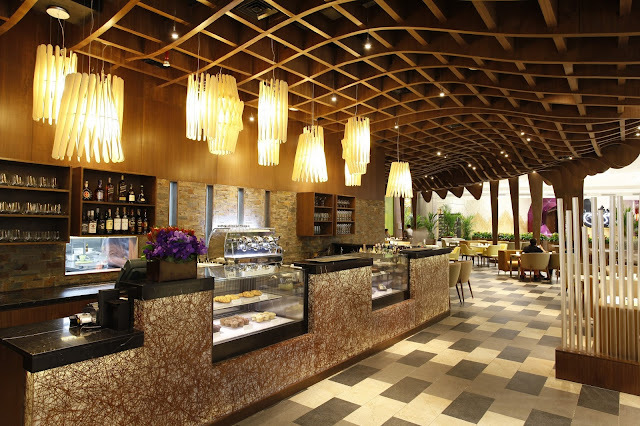 Everyone can feel like a child once more with the Yuletide treats at Café Society. 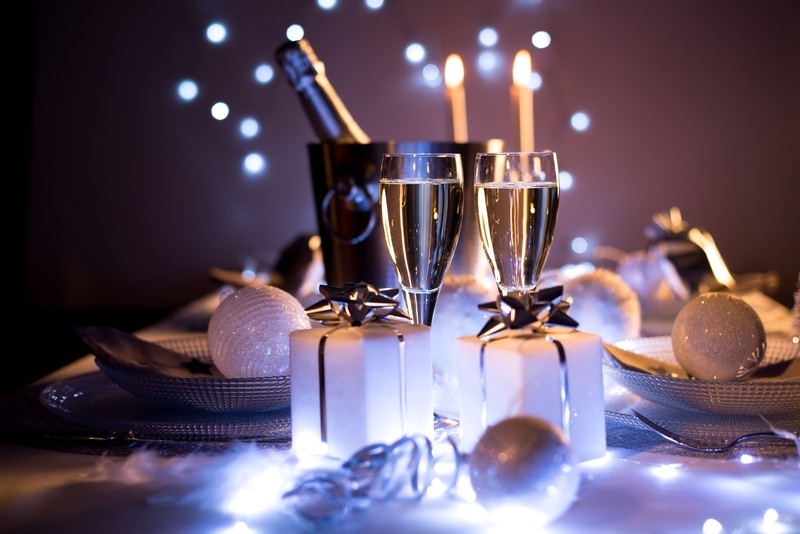 Guests can take pleasure in a variety of holiday goodies that bring back wonderful childhood memories such as English fruit cake, stollen, Yule log cake, gingerbread house, Christmas cookies, macarons, Christmas Santa and a selection of Panettones. Guests can catch the Christmas weekend parade with DreamPlay’s beloved characters Shrek, Fiona, Alex the lion, Po the Panda, and King Julien the lemur every Saturday and Sunday starting December 17 and 18. The parade will start at the DreamPlay entrance at 6 PM and make its way to the Grand Carousel at The Shops at Boulevard. 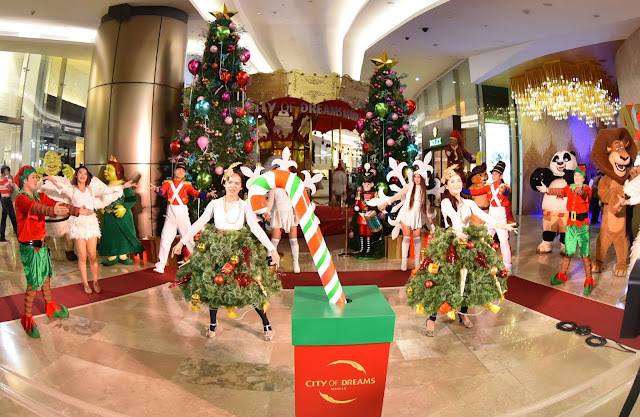 Holiday attractions and surprises are in store for guests at DreamPlay. Both the young and the young at heart can have a “Wild Winter” experience on December 23 to 24, 26 to 31, and January 1. 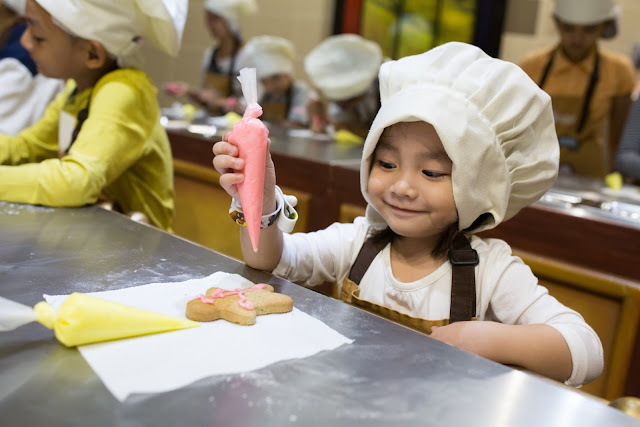 Guests who avail of the “Wild Winter” package at P1,500 per person will have VIP access to all attractions plus limited edition DreamPlay goodies such as a Christmas apron and hat, an Alex the lion notebook, a special Christmas-themed gingerbread from Cooking with Gingy, and a printed souvenir photo. The package also provides access to see the Merry Madagascar movie and comes with a free box of popcorn and unlimited iced tea. Chaos nightclub hosts the best local artists every Wednesday night at 9 pm, elevating Original Pinoy Music (OPM) to a whole new level. Upcoming performances at the trendsetting nightclub include Freestyle and MYMP on December 21, and Side A with Kudos loves 80s on December 28. Tickets to see the live band performances every Wednesday at Chaos are at P400 each with one drink. 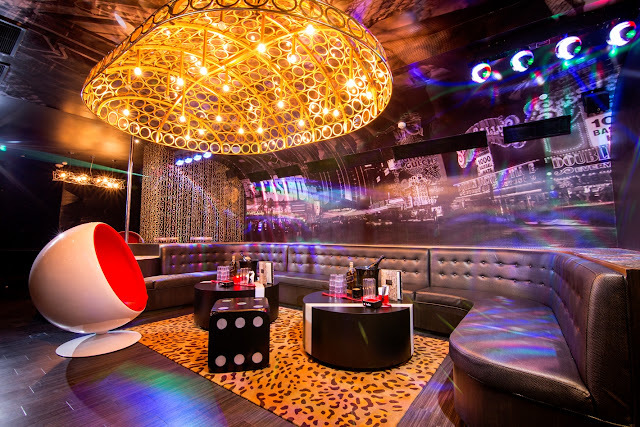 Guests can sing like a rock star or their favorite pop music icons and immerse themselves in the KTV’s uniquely-themed interiors. Ideal for Christmas gatherings and parties, revelers can have fun and sing to their hearts’ content in their selected KTV room, each one with a different theme inspired by world-renowned cities: Amsterdam, Bangkok, Las Vegas, Marrakesh, or Miami or the Tarot card-inspired rooms: the Sun and Moon, Lovers, Fortune, as well as the combinable Emperor and Empress rooms to accommodate larger groups. All rooms come with en suite powder room and fully-operated touchscreen control pads and start at a consumable food and beverage package of P5,000++ for two hours and up to ten persons. 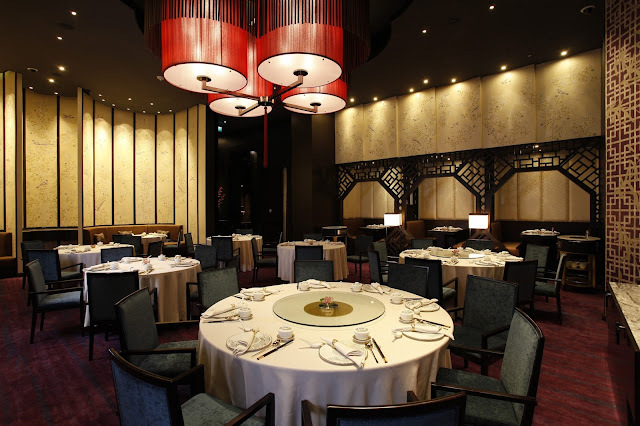 Larger rooms can accommodate up to 30 guests for private parties. The KTV rooms are available from Wednesdays to Sundays, 7 pm to 2 am, and Mondays to Tuesdays by reservation. Crown Towers Manila and Nobu Hotel Manila offer luxurious holiday stays for families and couples. 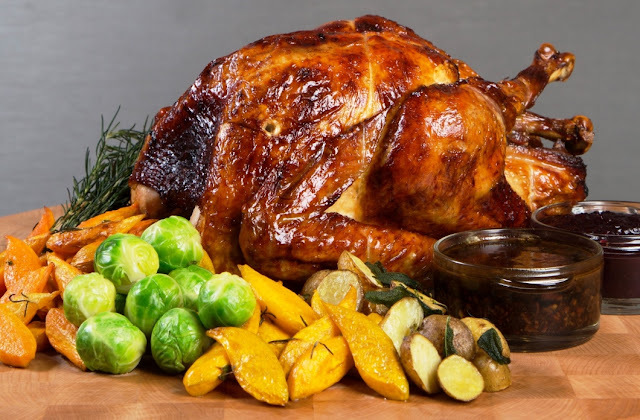 For a memorable Christmas, families with children can avail of the Yuletide room package either at Nobu Hotel or Crown Towers starting at P17,000. net and P20,000. net respectively. 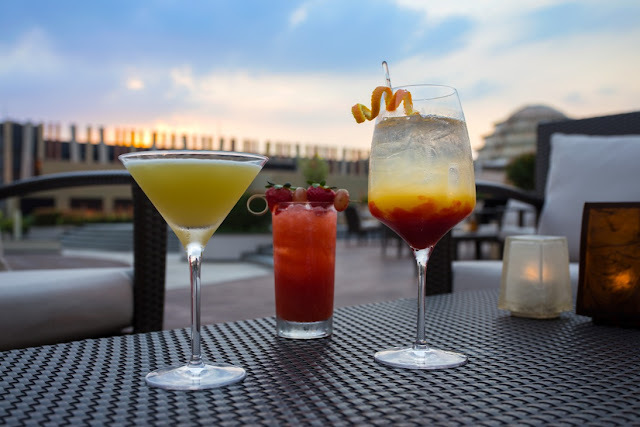 Package includes a two-night stay at a Deluxe Room for Nobu and Resort room for Crown Towers, breakfast for 2 and DreamPlay passes for 2 adults and 2 children. Check-in dates are from December 1 to 30, 2016. Rooms are subject to availability and prior reservation is required. The Crown Family Staycation Package at P11,000 net, comes with an elegant Resort room and breakfast for two adults and two children below five years old at Breezes, and four passes to DreamPlay. 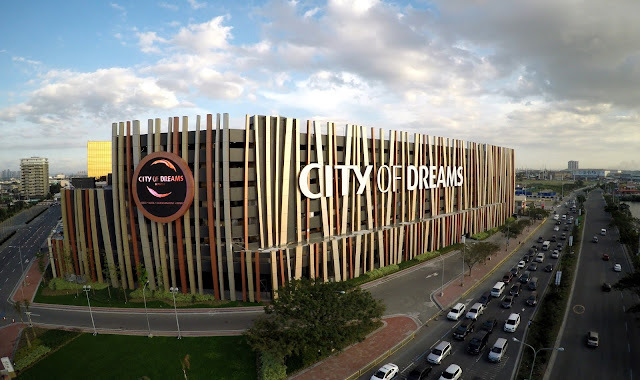 The Crown Honeymoon package at P16,500 net lets couples enjoy a romantic stay at a sophisticated Resort Studio with a one-hour couple’s spa treatment at the Crown Spa and dining credit at select City of Dreams Manila restaurants. 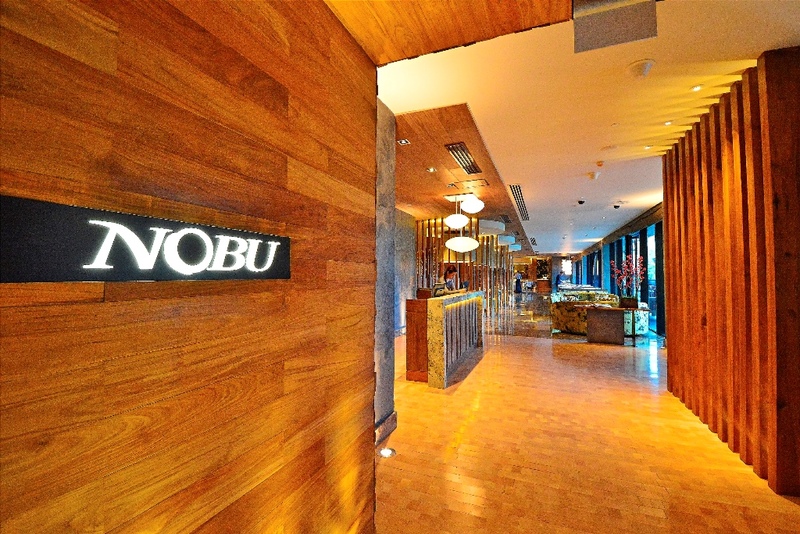 The Nobu Family Staycation Package at P9,500 net, comes with an overnight stay at a Nobu Deluxe room with breakfast for two adults and two children below five years old at Nobu Manila and four passes to DreamPlay. 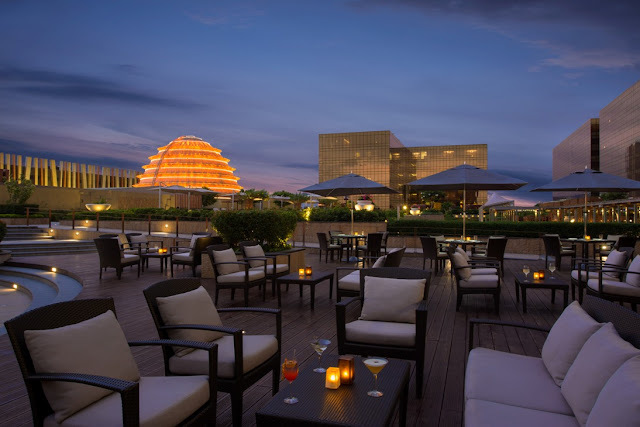 The Nobu Honeymoon Package at P15,000 net includes an overnight stay in an Executive room with a one-hour couple’s spa treatment at Nobu Spa and P3,000 dining credit at select City of Dreams Manila restaurants. 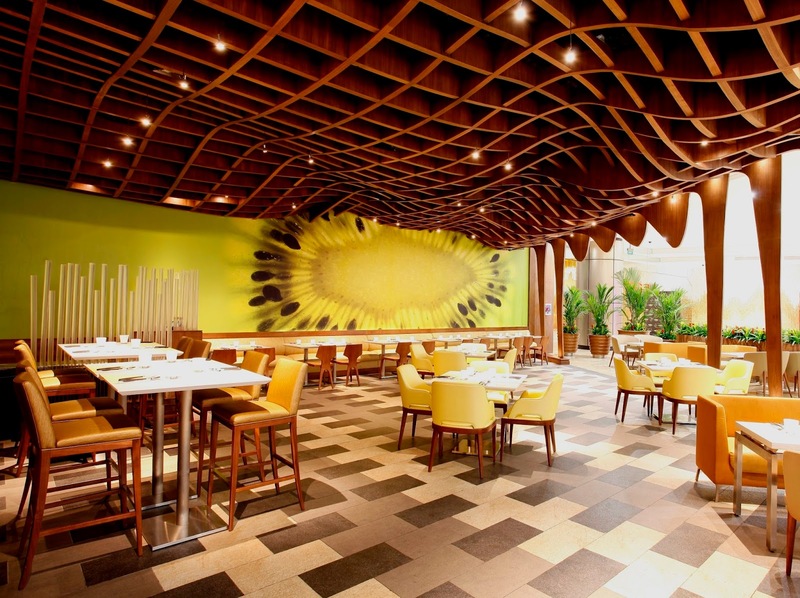 For inquiries and reservations, guests can call 800 8080 or e-mail guestservices@cod-manila.com.